2020 will be a busy year on the red planet. But when exactly are we getting there? Originally, SpaceX’s first foray to Mars, via a lander called Red Dragon, was expected to happen by 2022—which was considered a fairly feasible timeline. However, bolstered by numerous successful launches and Musk’s powerful vision, SpaceX moved their target date up to 2018. Now, a new announcement from SpaceX president Gwynne Shotwell confirms that they are changing the timeline yet again. A mission, named Red Dragon, to Mars is now set to launch in 2020 so that SpaceX can focus on other equally ambitious projects like their commercial crew program and Falcon Heavy programs. “We were focused on 2018, but we felt like we needed to put more resources and focus more heavily on our crew program and our Falcon Heavy program. So we’re looking more for the 2020 timeframe for that,” SpaceX president Gwynne Shotwell said at a recent pre-launch conference. 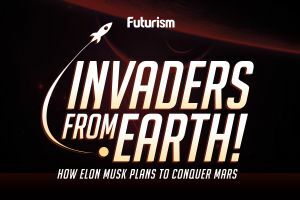 Earlier this year, Musk stated that SpaceX’s manned missions to Mars could begin as soon as 2022, which is a full three years sooner than his previous estimate of 2025. However, given this latest development, it seems that humans will have to wait a little bit longer to walk on the Red Planet. However, if Musk’s previous accomplishments are any indication, it will only be a little bit longer. Missions to Mars would ideally be launched every 26 months when the planet is aligned with Earth. The 2020 planned lander will be critical for future possible manned missions as it will test technology required to land heavy equipment on the Martian surface—a task that, given Mars’ unfamiliar terrain and thin atmosphere, could be difficult to execute. Heavy payloads entering Mars won’t have the planet’s atmosphere to cushion their landing and so there is the risk of very abrupt and hard landings. What sets Red Dragon apart from other Mars landers is its use of a supersonic retro-propulsion—which means it will use rockets embedded in the hull to allow for larger spacecraft to land safely. Should the technique prove to be successful, this lander will be the biggest vehicle to land on the planet thus far. Moving the launch to 2020 also means that SpaceX will be able to join several other Mars-bound expeditions stemming from government agencies and private outfits. NASA is expected to launch its next Mars rover within the same year. The ExoMars mission, a joint initiative from the Roscosmos and European Space Agency (ESA) who originally planned its second phase to take place in 2018, has also been moved to the end of the decade. There’s also talk of the United Arab Emirates sending an orbiter to the red planet by then, along with China who has expressed its intent to reach Mars by 2020. If all these missions make their targets, it will indeed be a busy 2020 for the red planet.